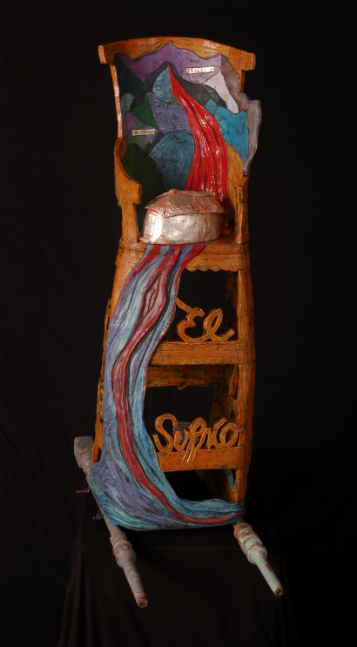 This piece tells a story about the secretive Penitente Brotherhood in New Mexico. 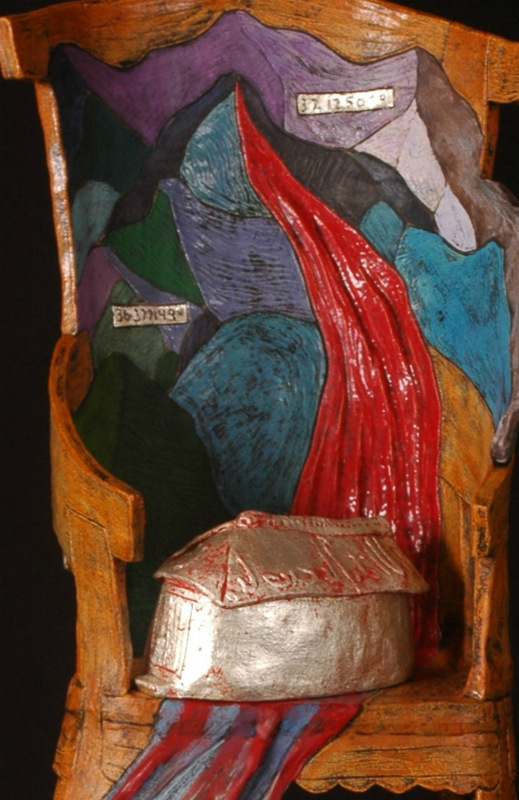 The chair features the Sangre de Cristo Mountain Range and from it flows blood, which changes into water as it flows down the chair. 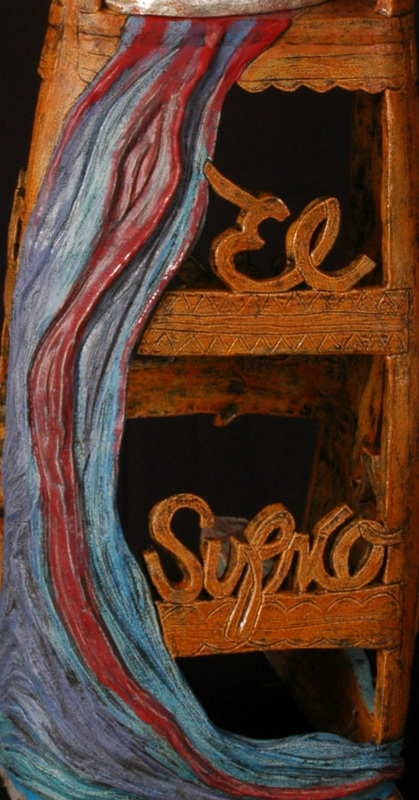 In the crossbars of the chair is a carved text with the words: “El que sufrio por me”. 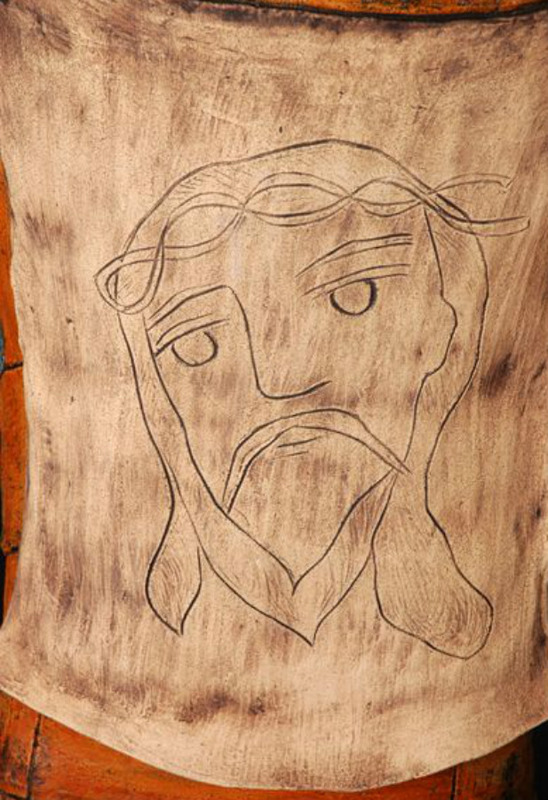 (He who suffered for me) The back of the chair shows an image of the cloth of St Veronica, which is imprinted with the image of Christ. The stair railings are a signifier of home and also refer to the biers on which statues of saints and the Holy Family are carried during Holy week in Spain. 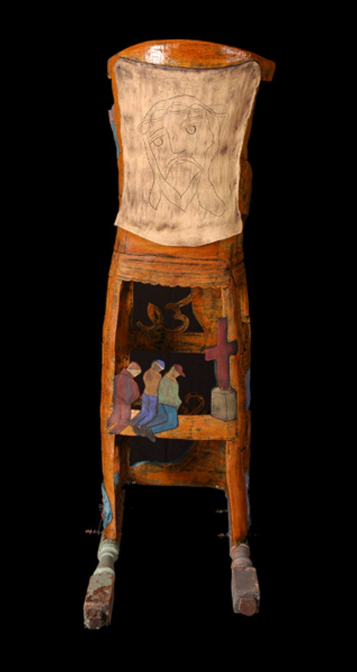 Sitting on the seat of the chair is a morada-a place where the Brotherhood minister their rites. The numbers atop the mountains are the longitudes of the farthest north and southern moradas.